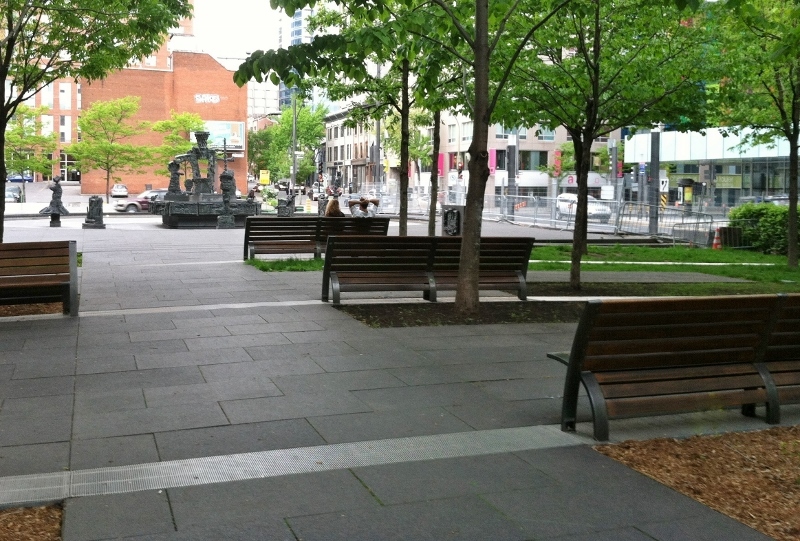 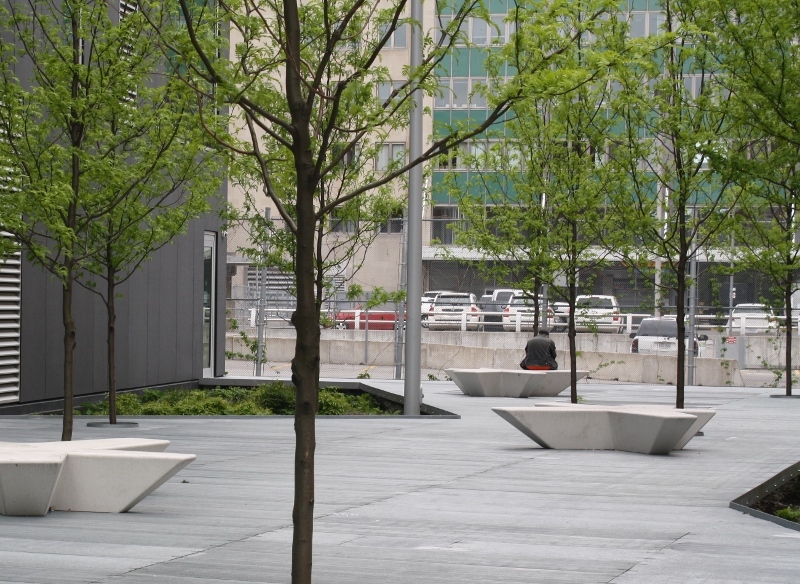 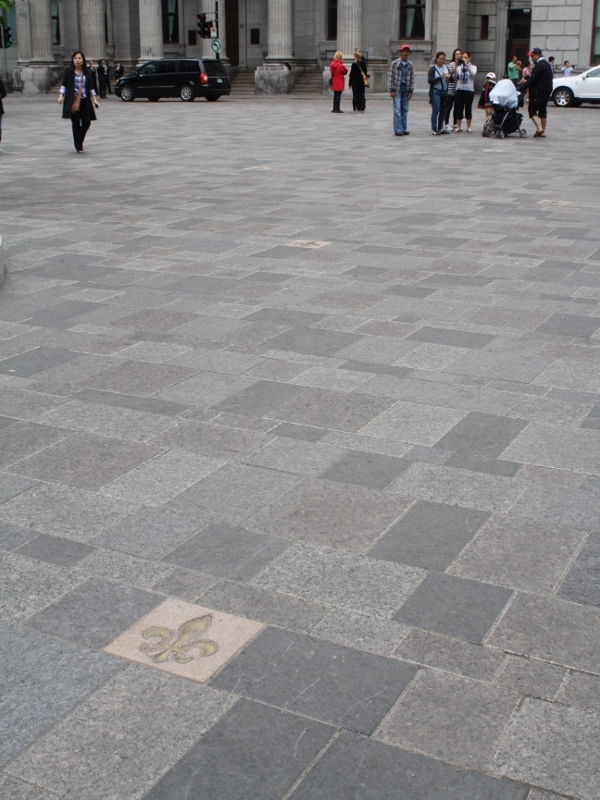 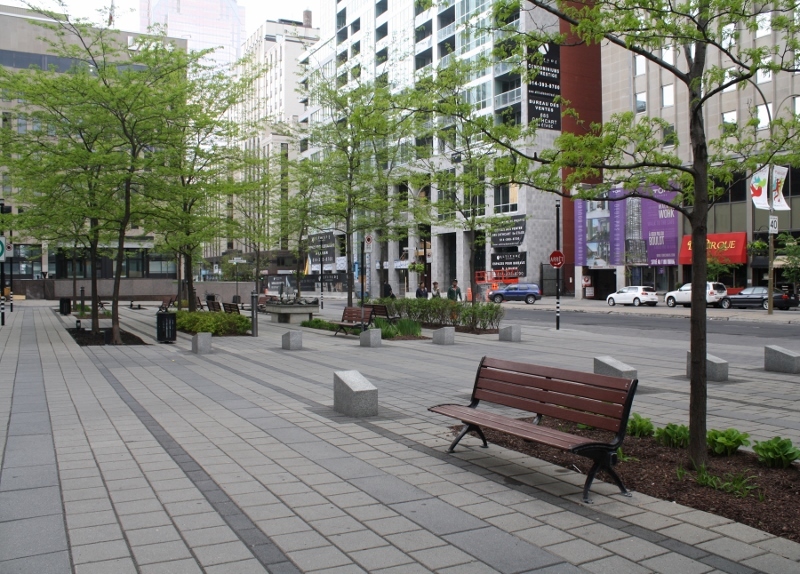 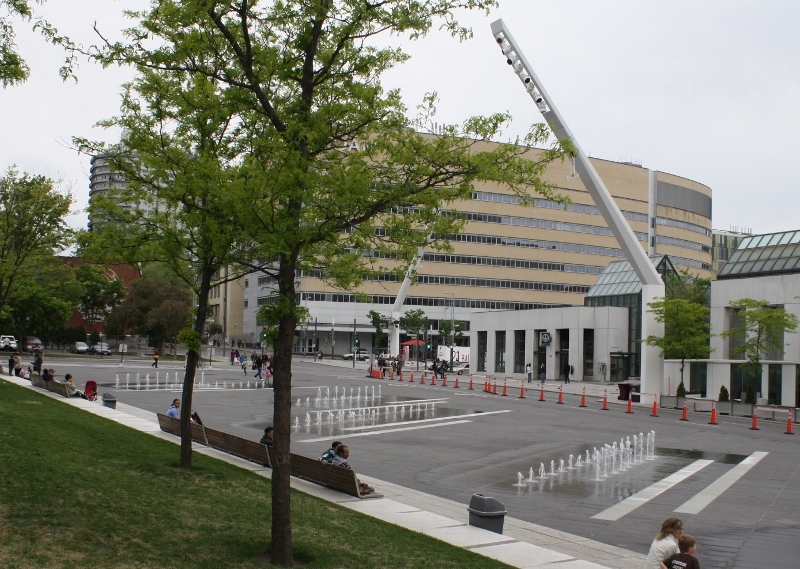 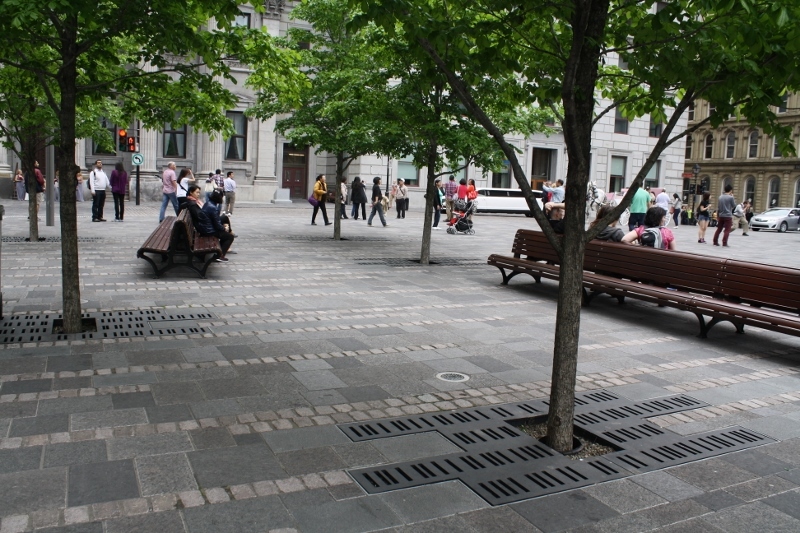 In Montreal’s Quartier des Spectacles, an interesting little park is tucked between two buildings, designed by renowned landscape architect, Claude Cormier. 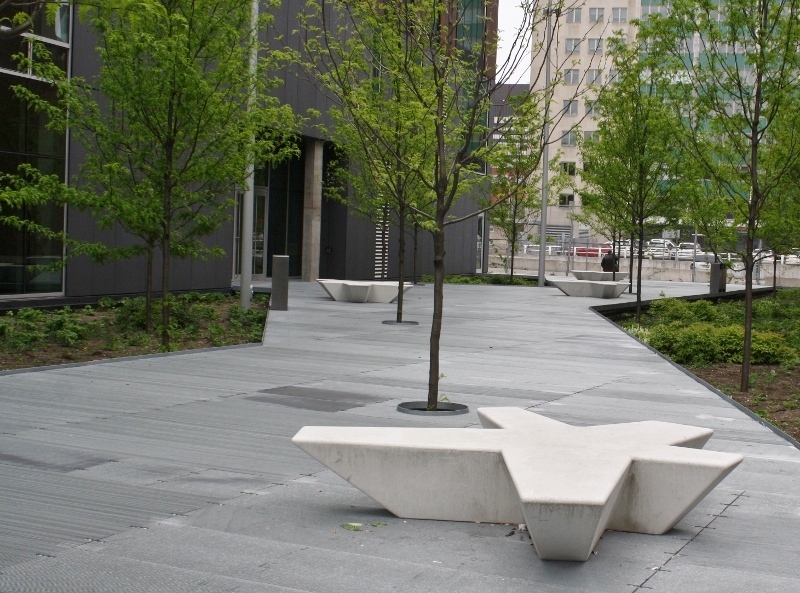 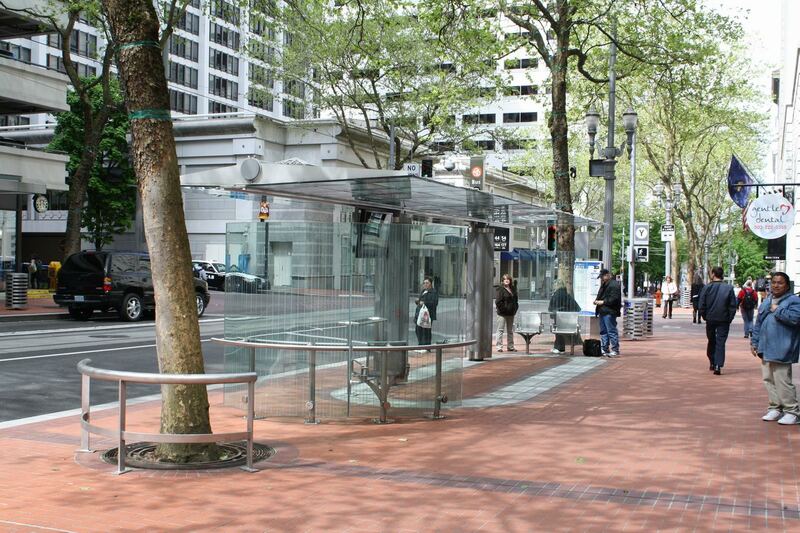 It features a raised metal grill of varying widths that functions as a pedestrian walkway/court, punctuated with Honeylocust trees and star-shaped benches. 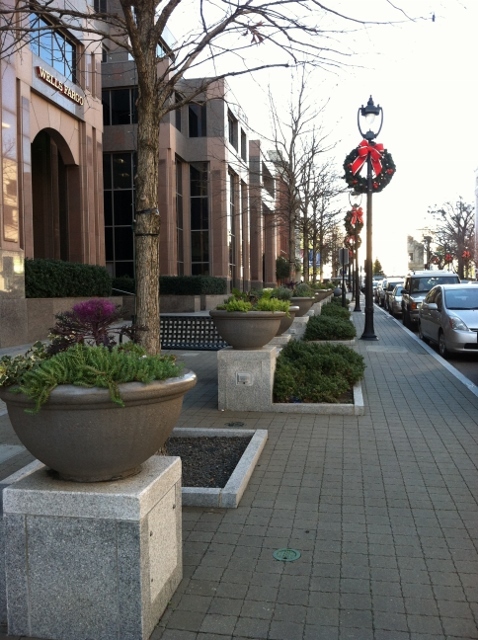 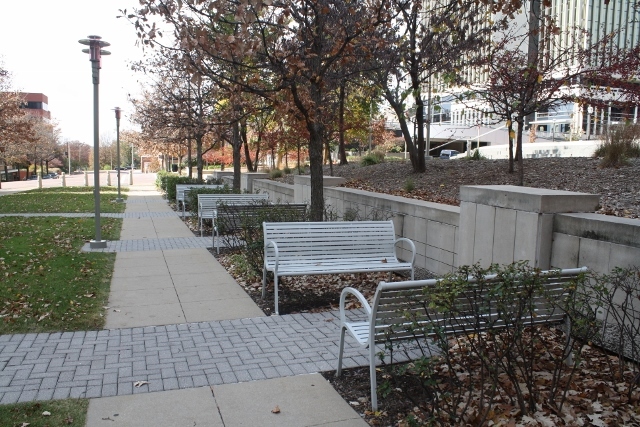 Native perennials and ground covers are planted in the low-lying areas along the sides of the park. 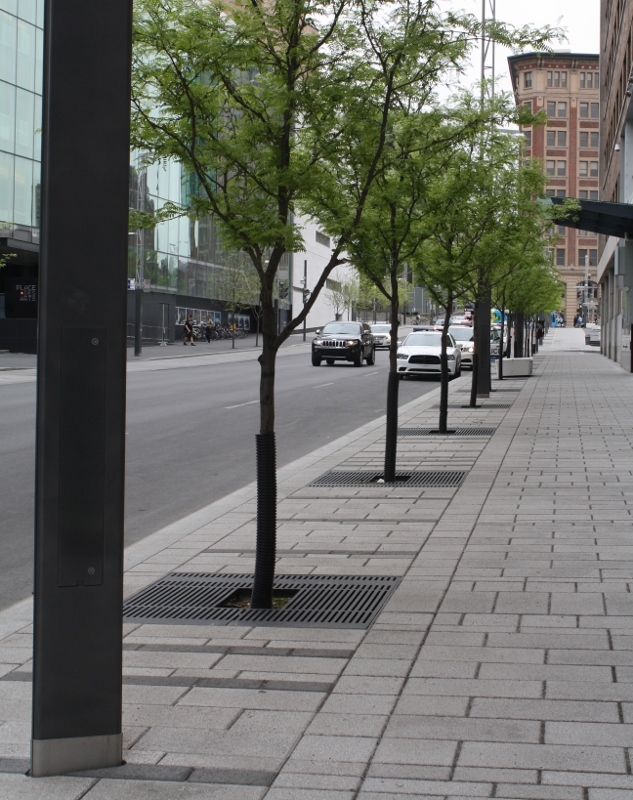 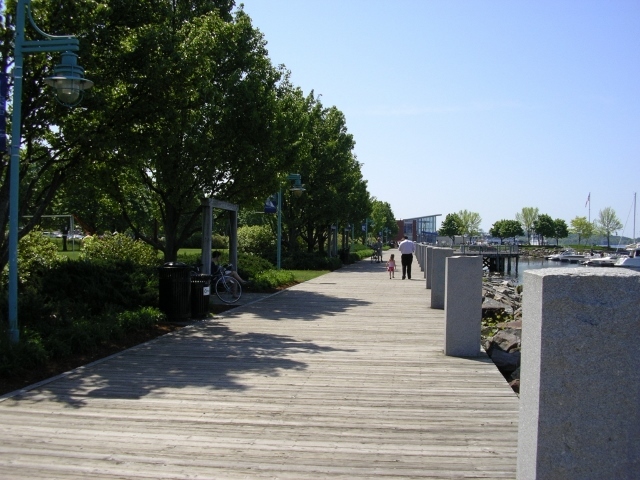 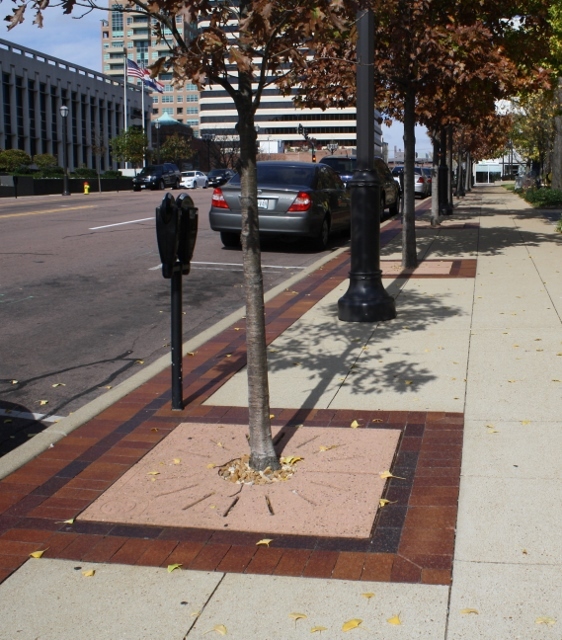 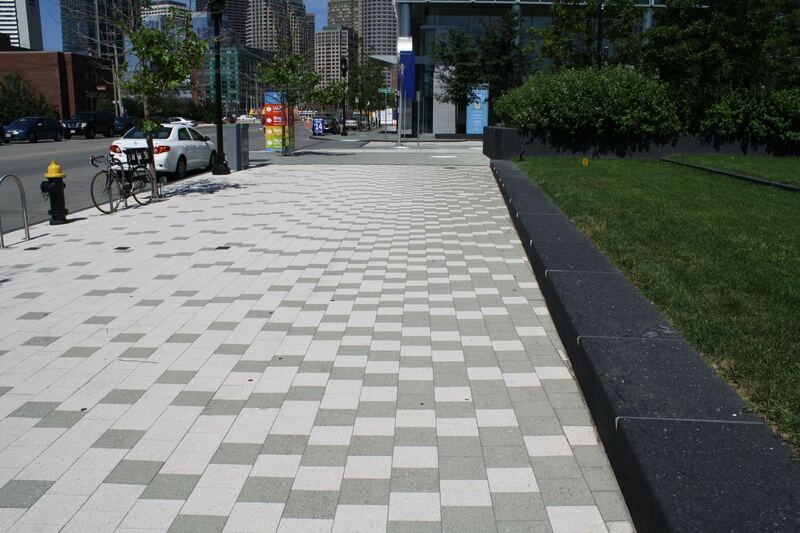 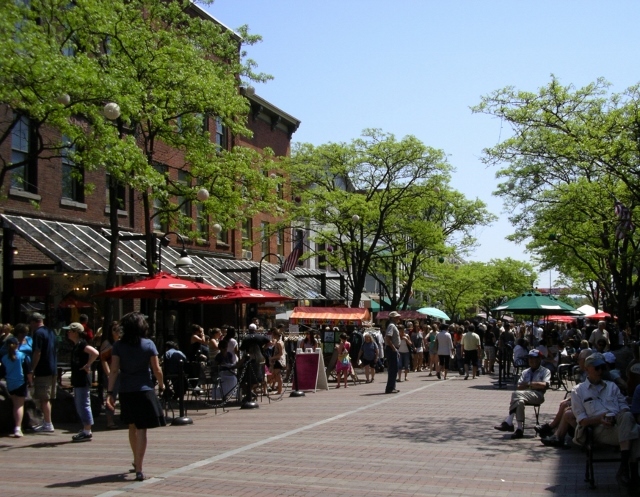 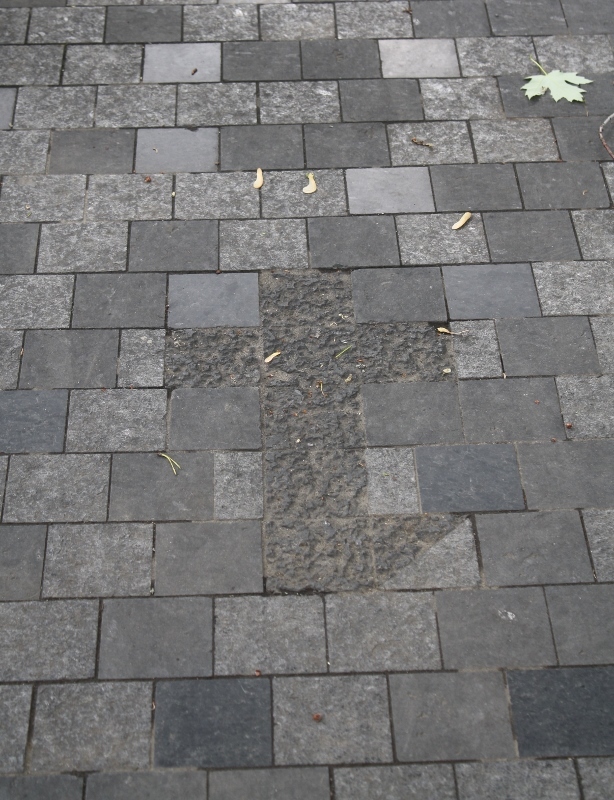 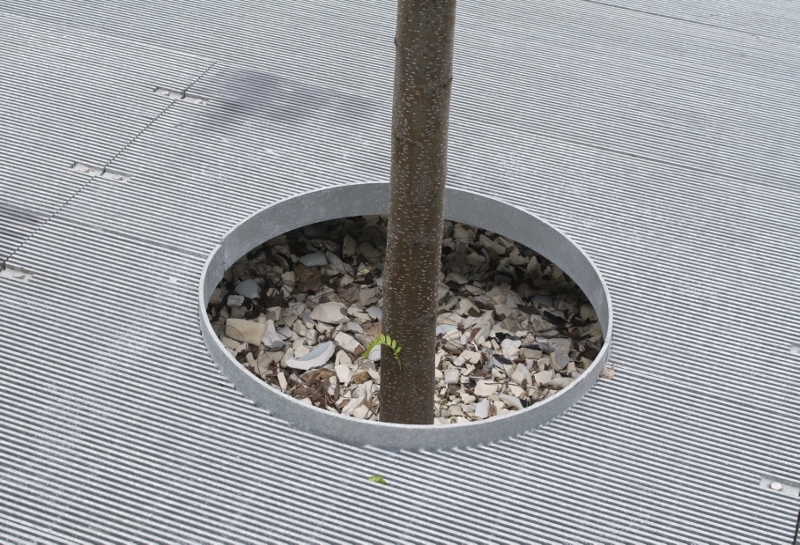 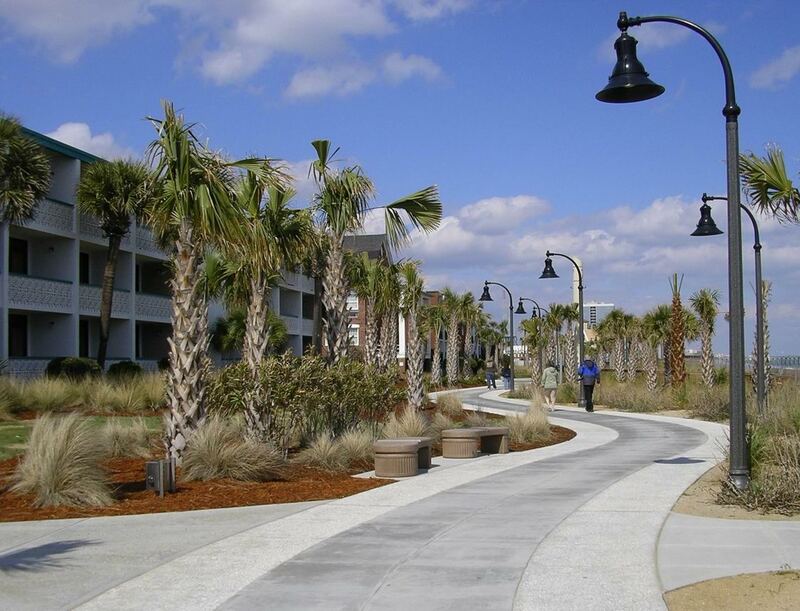 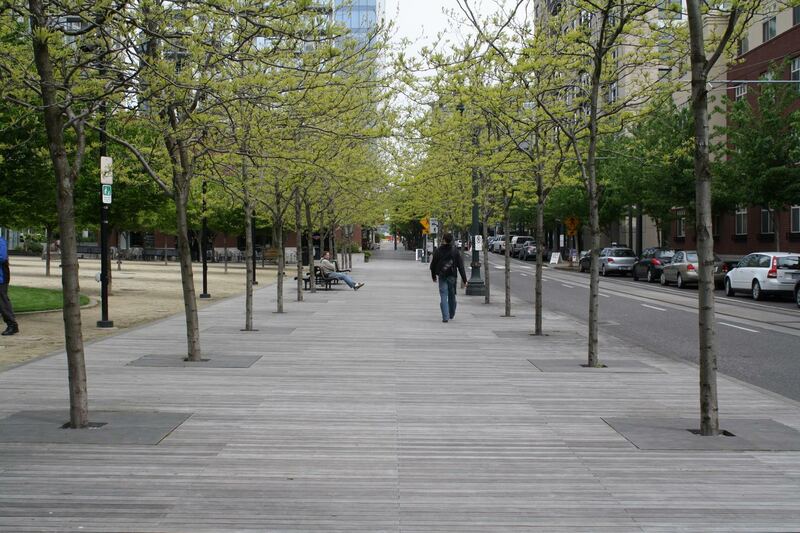 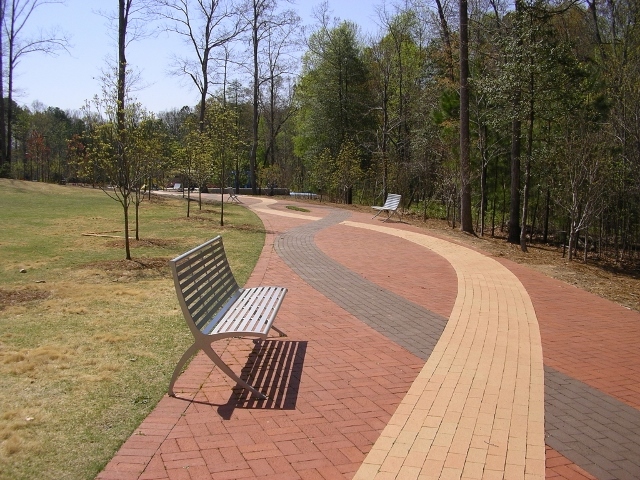 The walkway, essentially one large tree grate, protects the underlying soil from compaction and allows for rainwater infiltration, promoting healthier trees and sustainable stormwater management. 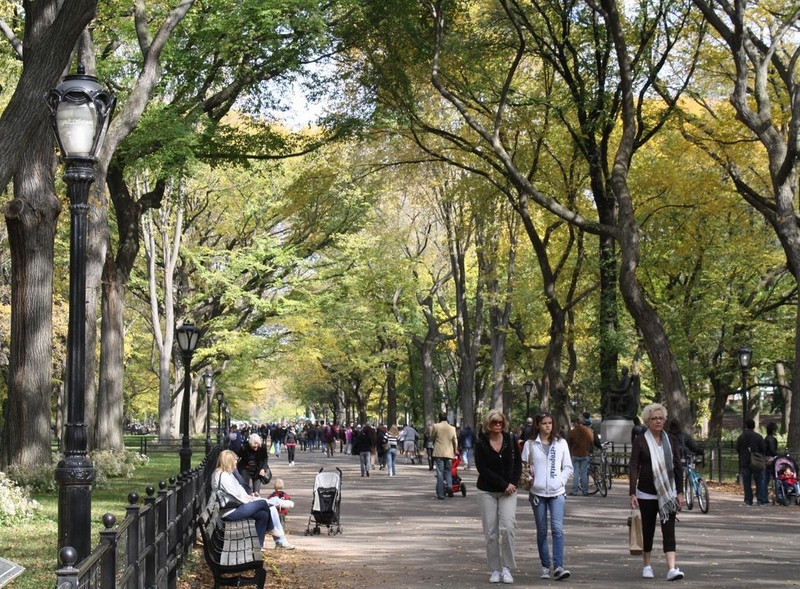 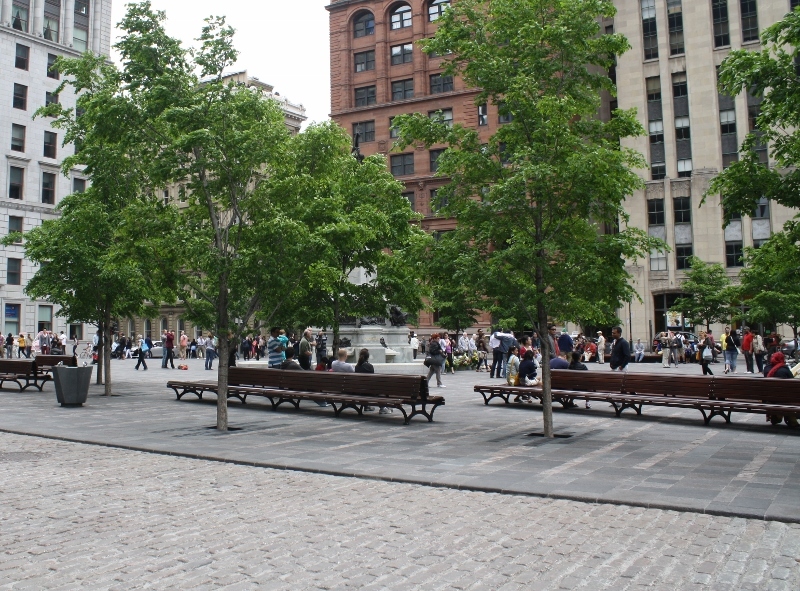 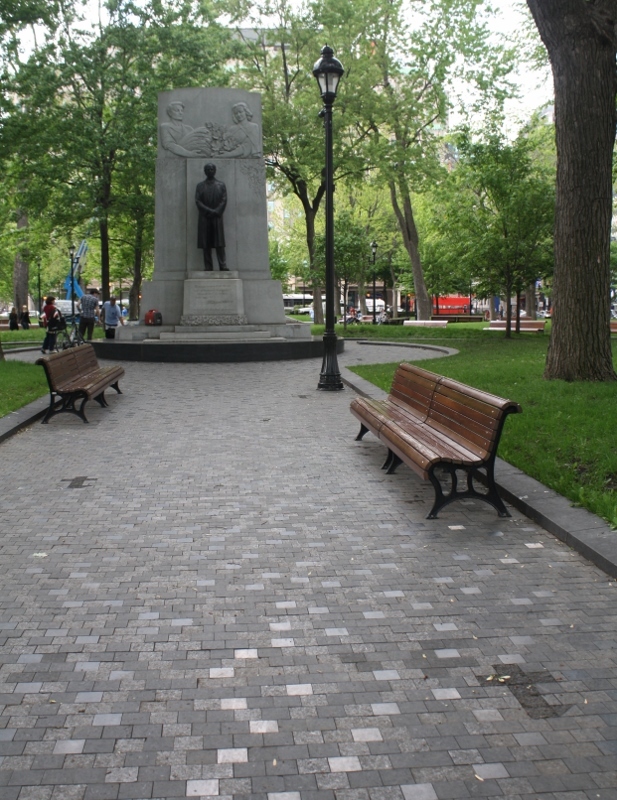 In fact, there are no impervious surfaces in this park that are larger than the benches. 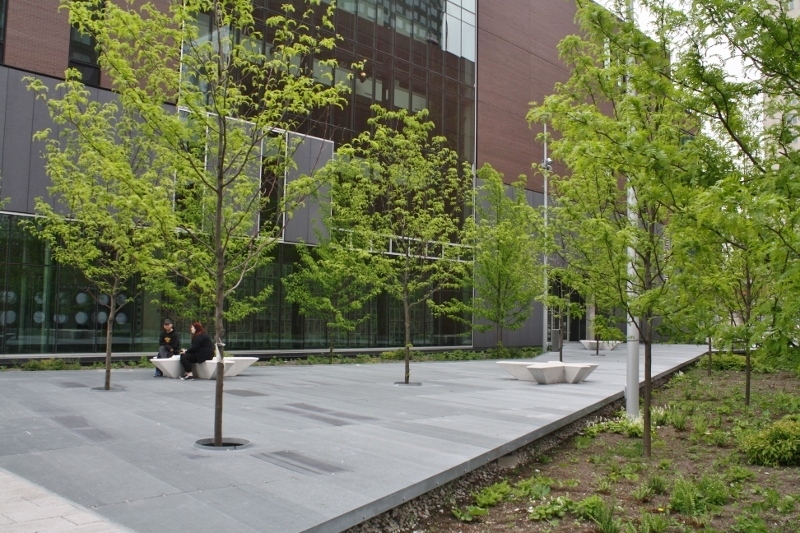 Appropriately, the park is situated next to the green-roofed Centre for Sustainable Development.